This exposition on the book of James is considered by many to be his finest work. "I do not regard him as a writer of striking power and brilliancy, compared to some of his cotemporaries. He never carries you by storm, and excites enthusiasm by passages of profound thought expressed in majestic language, such as you will find frequently in Charnock, and occasionally in Howe. He never rouses your inmost feelings, thrills your conscience, or stirs your heart of hearts, like Baxter. Such rhetoric as this was not Manton's gift, and the reader who expects to find it in his writings will be disappointed. Manton's chief excellence as a writer, in my judgment, consists in the ease, perspicuousness, and clearness of his style. He sees his subject clearly, expresses himself clearly, and seldom fails in making you see clearly what he means. He has a happy faculty of simplifying the point he handles. He never worries you with acres of long, ponderous, involved sentences, like Goodwin or Owen. His books, if not striking, are generally easy and pleasant reading, and destitute of anything harsh, cramped, obscure, and requiring a second glance to be understood. For my own part, I find it easier to read fifty pages of Manton's than ten of some of his brethren's; and after reading, I feel that I carry more away. Manton was a Calvinist in his theology. He held the very doctrine which is so admirably set forth in the seventeenth Article of the Church of England. He held the same views which were held by nine-tenths of the English Reformers, and four-fifths of all the leading divines of the Church of England down to the accession of James I. He maintained and taught personal election, the perseverance of the saints, the absolute necessity of a regeneration evidenced by its fruits, as well as salvation by free grace, justification by faith alone, and the uselessness of ceremonial observances without true and vital religion. 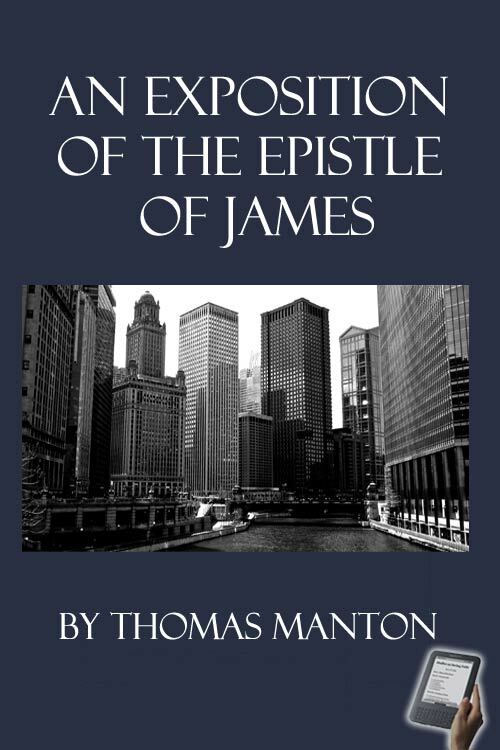 As an expositor of Scripture, I regard Manton with unmingled admiration. Here, at any rate, he is 'facile princeps' among the divines of the Puritan school."